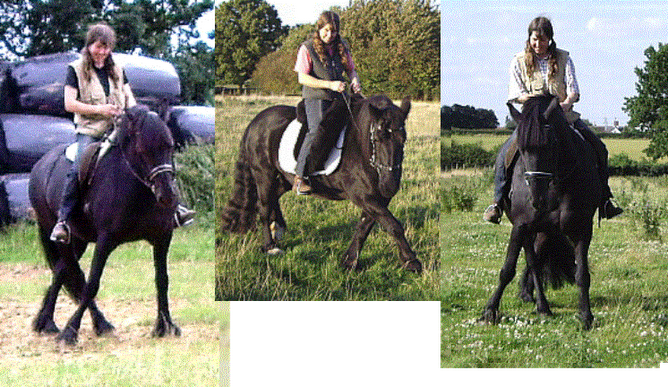 Click for Harmony: Why Riding a Horse in Self Carriage Matters So Much to Me. Why Riding a Horse in Self Carriage Matters So Much to Me. 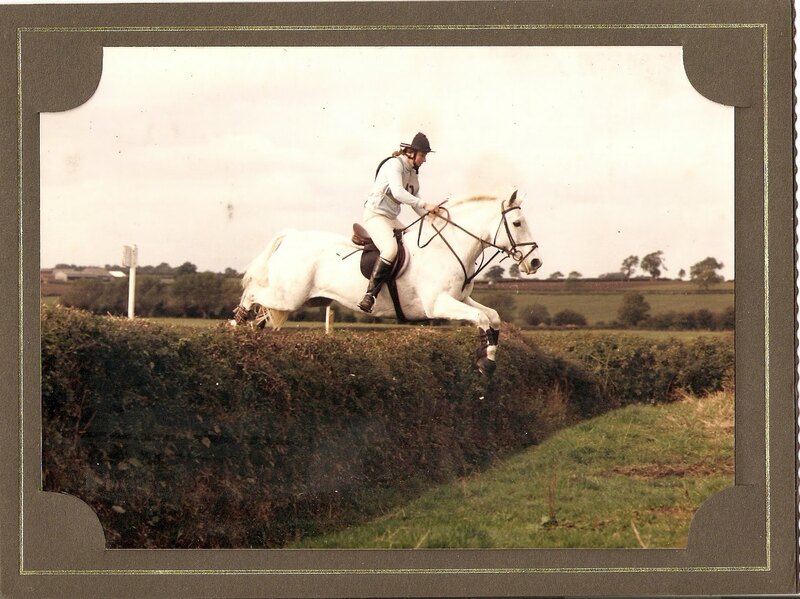 Years ago I had a pony called Jonesy who I loved riding above all other horses I have ever had the pleasure of sitting on. Jonesy was a very confident, bossy character who thought he ruled the world, never spooked at anything and looked and carried himself like a stallion. 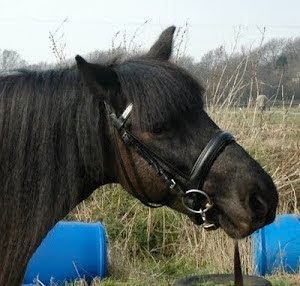 I could ride him out with my reins in loops and he always carried me everywhere in proud self carriage. Everyone recognised and admired him and I always felt like a 'professional rider' when I was on his back, even though none of it was my doing! Jonesy had never been taught to carry himself this way - he was a pony who lived to jump and hated being schooled on the flat, and as for dressage, don't even mention it!!!! - he just did it naturally. Riding him was pure, effortless joy and I could never get enough of it. He led a long, very sound life and died at the age of 30 and I've missed him ever since. Since then I've tried to school my horses to carry themselves in good balance but it's always been hard work and never felt free and joyful like it did with Jonesy. I always felt that I had too much weight in my hands and, although dressage trainers have told me this is correct, it didn't feel good or desirable to me and the horse always seemed keen to revert to slouching along whenever possible so I didn't think it could feel good to them either. I didn't want to work through loads of resistance - I wanted harmony and co-operation not a battle of wills. I wanted us both to feel good about working together. Clicker training and Alexandra Kurland's 'Riding with the Clicker' exercises have changed all of that. Riding Bella is now very much like riding Jonesy. She doesn't have his boundless energy but she loves to carry herself proudly and even when I'm leading her out to the field she will draw herself up through her withers at the slightest glance in her direction from me. She loves to impress and, judging by her expression which I can only describe as 'smug', it obviously feels great to her too! 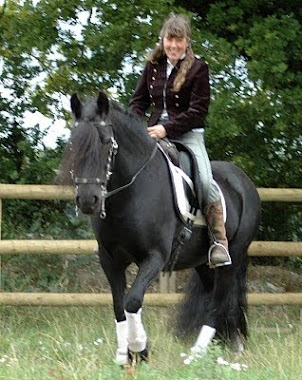 That's what I love best about Alexandra Kurland's methods; she has given me a way to train my horses to carry themselves (and me) in effortless self carriage on a loose rein and to do so voluntarily and with great pride and satisfaction. I never thought I'd be lucky enough to have another Jonesy but riding Bella is just as joyful with the added benefit of her loving flat work so much that we can work on the higher level movements together. Hopefully Bella learning to carry herself in good balance like this will keep her sound and well long into her 30s - that would give us at least another 20 years of joyful "feels like heaven" riding together! I'm presently studying Alexandra Kurland's 'Hip Shoulder Shoulder' DVD and there is loads of stuff on there for me to work with and play with but that's for the next post!